Are you planning to renovate your old bathroom? Do you want to change the overall look of your bathroom? With the endless possibilities for you in the market, you’ll find amazing options from which to choose. 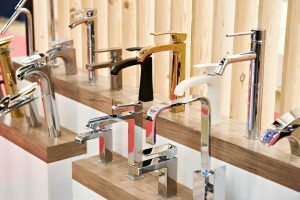 In this article, I will review the best bathroom faucets available, giving you the basic knowledge you’ll need to choose the right bathroom faucet for yourself. 1 How to choose a bathroom faucet? 1.4 What is The Best Faucet For You? How to choose a bathroom faucet? Choosing the right bathroom faucets for your bathroom will enhance the overall look of the room. There is a vast variety of bathroom faucets, however: they come in different styles, shapes, and sizes. Plus, different faucets work with different sinks, so choosing the most suitable bathroom faucet can be confusing. I have compiled a list of features you need to look for before making your decision. 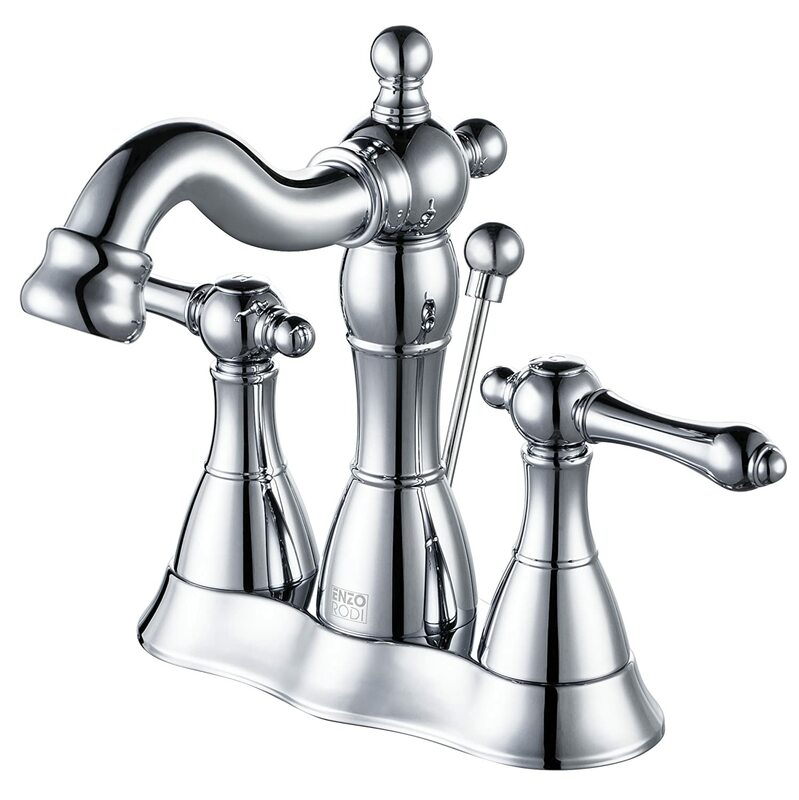 Center-set Faucet: Center-set bathroom faucets come with 1 or 2 handles. Most bathroom sinks have these faucets. They have 3 holes and the handles are 4 inches apart (although some handles have a distance of 6 inches from the center set). Single-hole Faucet: It comes with a single handle attached to the stem. It is highly useful for people with limited hand mobility. It is simple and elegant, and does not take much room in your sink. Wall-mounted Faucet: These faucets are designed specifically for basin sinks. They are mounted on the wall and come with a bowl-shaped sink that sits directly on the counter. Make sure that the tap is long enough to reach the basin so that you don’t splash any water while using this faucet. Bathroom faucets are made with different construction and finishing material. Ensure that you coordinate the finishing of your bathroom faucet with other fixtures. Stainless- Steel: Most popular construction and finishing material. It gives a shiny look to your faucet. Brass: Solid construction which lasts for years. Nickel: Superior quality coating, which prevents rusting and corrosion. Cross Handle: Comes in different decorative styles. You are able to control the water flow conveniently. Push Button: It turns the water on with a button. Automatic: These are modern and advanced touchless. They come with strong sensors to turn the water on and off. They don’t have any handles, which makes cleaning easier for you. Knobs: To turn the water on, you have to rotate the knobs gently. What is The Best Faucet For You? The best bathroom faucet for you is the one that best fits your sink and fulfills your washing needs. The accuracy of the size of your faucet is very important. If it does not fit your sink properly, you might be dealing with annoying leaks later on. There are two basic types of faucet handles available: dual-knob, or single handle faucet. Which one you select is largely going to depend on your sink, and the type of faucet for which it is fitted. The big thing here: pay attention to what you have! If you are looking for an elegant and stylish bathroom faucet, this is the best choice for you. With its two handles and brushed nickel finish, this bathroom faucet gives your bathroom a modern look. This bathroom faucet is very easy to install. 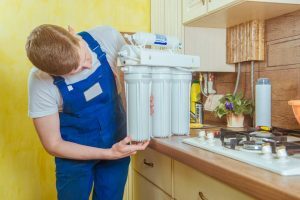 Whether you are a first-timer or you are a plumbing professional, you won’t find it difficult to mount. Its center set design is controlled by 2 handles, which are mounted 4 inches apart from the spigot. If you are someone who prefers to have separate handles for hot and cold water, this is one of the best bathroom faucets for you. You’ll simply fall in love with it. Phiestina is a slightly new brand in the bathroom faucet industry. They do not compromise when it comes to superior quality. They also provide a warranty of 10 years. If you want to replace your old bathroom faucet, this may be the bathroom faucet for you. It gives you style and performance at the same time. You might want a bathroom faucet that allows you to control the temperature of water easily. Desfau center set bathroom faucet comes with 2 handles to control the flow of water. For your convenience and comfort, it is very easy to use. The best thing about this bathroom faucet is that it comes with a drain assembly which includes a drain stopper and lift rod. The spigot also comes with a high-arc, which allows you to easily access your sink. The bathroom faucet is something you don’t want to have to replace, and you should expect them to last for years. Desfau offers a limited lifetime warranty on their faucets, and also have a 60-day money back guarantee if you are not completely satisfied. Comes with a drain assembly. The installation is very easy. You might be able to handle it yourself. Long lasting and durable. It is made from a superior quality material, which prevents it from corroding and rusting. Nowadays, sensor faucets are very popular. They are not only commonly used in hospitals and restaurants, but most people prefer using them in their homes. Terra touchless bathroom faucet is an automatic faucet which brings comfort to your life. You are able to use it conveniently without wasting any water. The faucet never has a false activation, either, further helping to reduce water waste. I simply love that about this faucet. The hands-free technology of this faucet gives your bathroom a modern touch and allows you to keep it clean and hygienic. 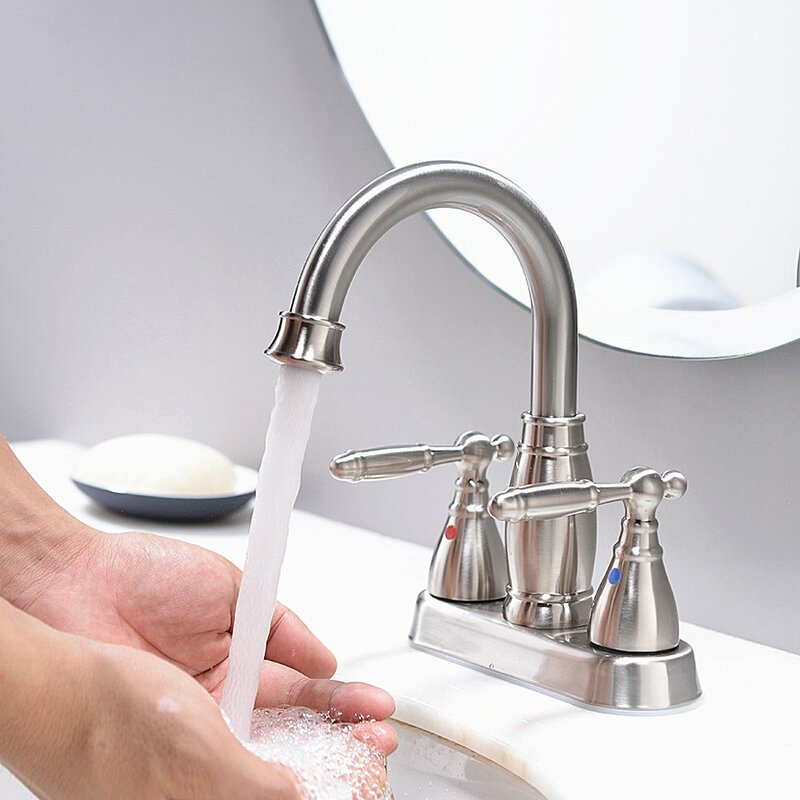 If you are hesitant about cleaning the handles of your bathroom faucet, terra touchless bathroom faucet takes your worry away. Because of its activation without your hands, it comes without any handles. It is a heavy-duty commercial bathroom faucet made of premium-quality materials, and is highly durable. Gives your bathroom a modern touch with its elegant and unique design. Highly advanced technology allows hands-free Gives you a lifetime warranty to give you peace of mind. Much more hygienic than a traditional faucet. You don’t have to worry about keeping the handles clean. The responsiveness is very fast. It shuts off quickly while you are in the middle of washing your hands. 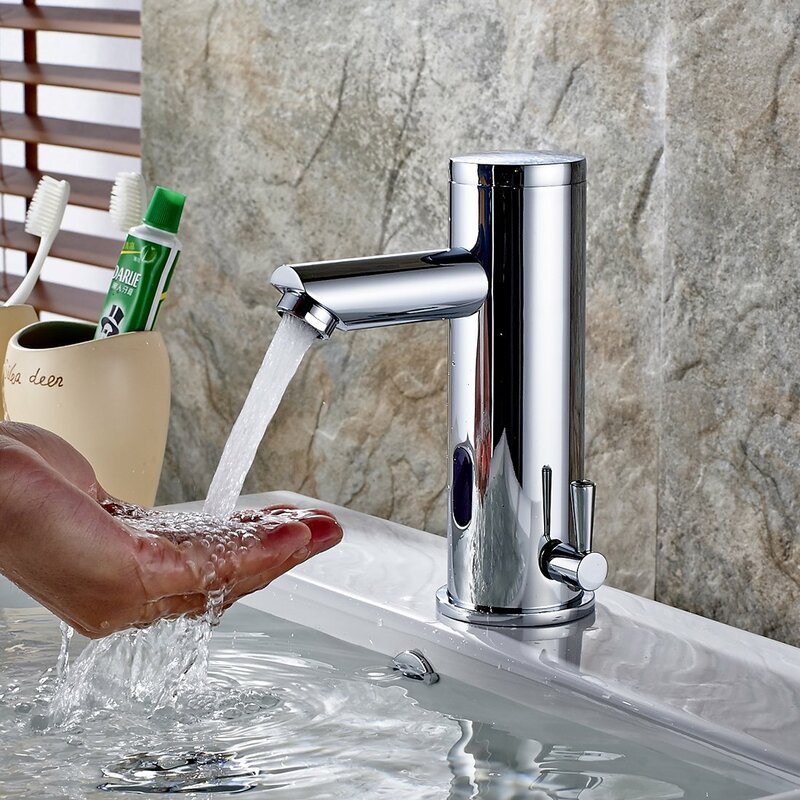 See more best touchless faucets list here. 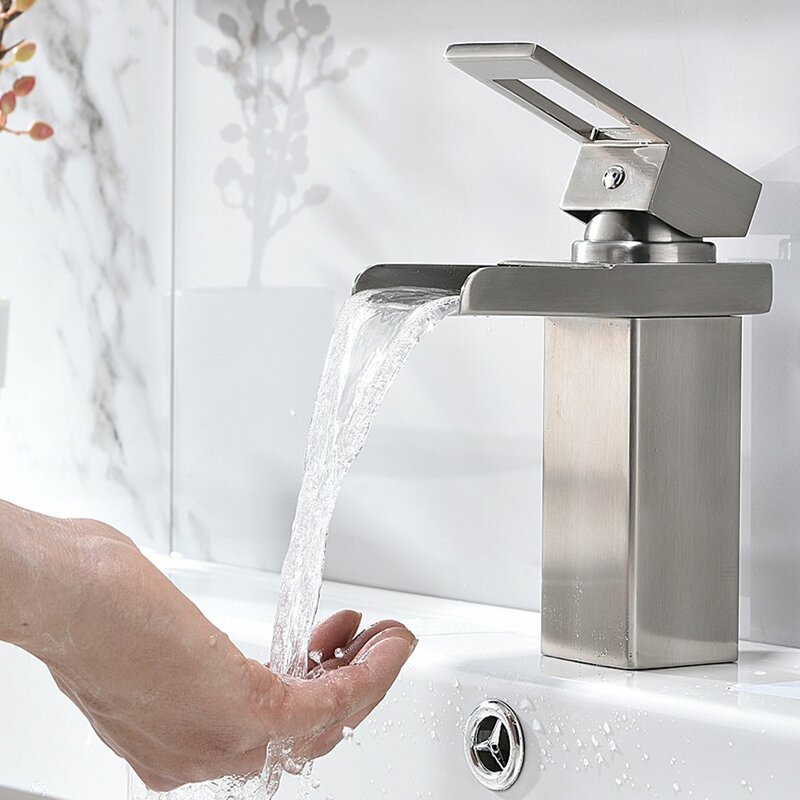 I would recommend this bathroom faucet for those who want a simple yet elegant design. The efficient water control it comes with makes it one of the best bathroom faucets available on the market. It comes with a nickel finish, which goes well with a wide variety of décor. The reach of the faucet is 4.29 inches. My favorite feature is the high-quality ceramic cartridge that filters the water. The water self-clean system gives you crystal clear water to wash your hands. Bathroom faucets are used repeatedly on a daily basis. Therefore, their durability and maintenance are very important. The Phiestina Vanity Basin Vessel sink faucet is a superior quality product which won’t wear down easily. Its brushed nickel finish is corrosion- and rust-resistant, even if used daily. This bathroom faucet is very easy to install. Even if you don’t want to install it yourself, it is a piece of cake. The brushed-nickel finish gives it a shiny finish and enhances its style. The water flow system is exceptional. Its temperature control is extremely efficient. Comes with a warranty of 10 years. Enzo Rodi is a household name when it comes to choosing the best bathroom faucets. This bathroom faucet is free of toxins and harmful chemicals. It is constructed with a brass body that contains little to no lead. I simply love the effortless control it gives with the double handle lever, making it very convenient to control the temperature of the water. 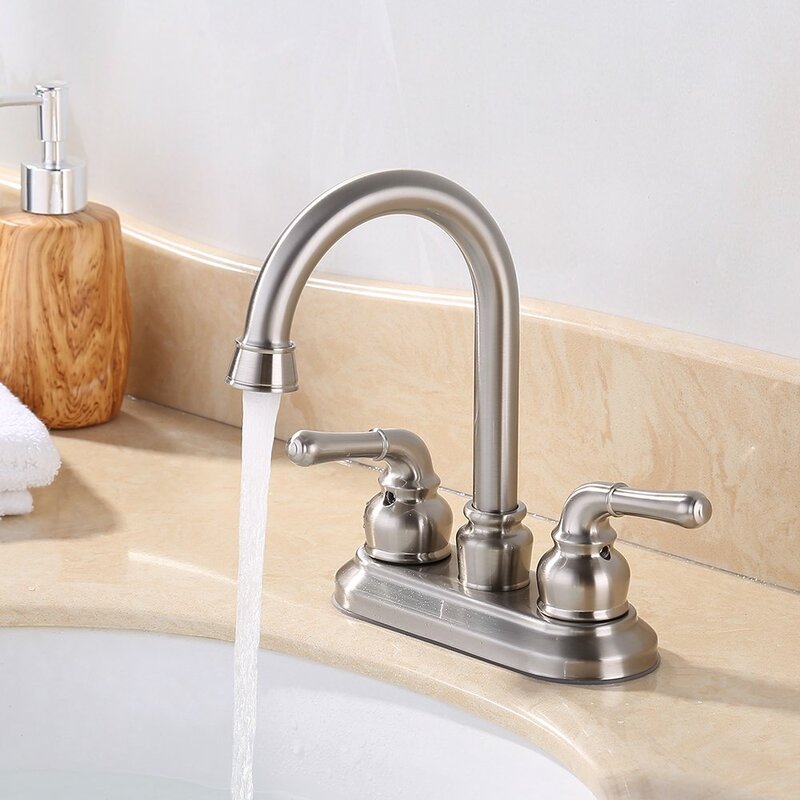 The faucet comes with a high-quality finish that is resistant to corrosion and rust. Thanks to the rubber nozzles, which are easy to clean, hard water won’t build up mineral deposits and damage the faucet. One of the best features I liked about Enzo Rodi is its compatibility with most sinks. You don’t have to make any additional holes to make it fit your sink. Another important feature which makes it stand out is the lead-free water it provides. It is safe and healthy for everyone, and gives a great washing experience. The two handles make it easy for you to control the temperature of the water. You’ll find it easy to use and maintain. This faucet is a bit complicated to install. This bathroom faucet comes with a modern design that is elegant and stylish. You won’t be disappointed to choose this for your newly renovated bathroom. The two handles of the faucet allow you to control the temperature of the water without any hassle. The body of the faucet is constructed with solid brass, which ensures its durability and performance. Thanks to the lifetime warranty of the product, you will be able to get it replaced if something happens to it. 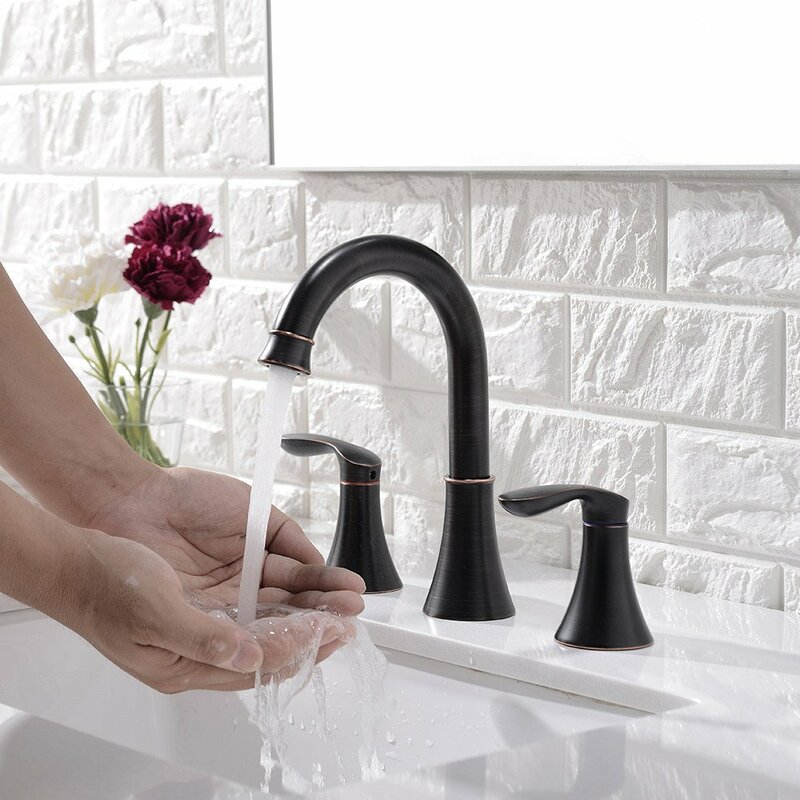 The oil-rubbed bronze finish gives the faucet a unique look. It is constructed with non-toxic materials, which are safe for your health. The lead-free material ensures you to have a safe washing experience. Because this is, technically, a commercial faucet, it does not come with a drain stopper. This bathroom faucet comes with a sleek design that may look great with the other accessories and fixtures in your bathroom. The brushed nickel coating effectively prevents corrosion and rust. It comes with two handles, which give you an effective water flow control. It comes with a drain assembly and a hose to make it easier for you to install the faucet. I would recommend this to people who might want to install it on their own without any professional help. This bathroom faucet is safe for you to use: it meets the standards of cUPC and NSF 61. The strong and durable construction of the faucet makes it last for years. You won’t have to worry about replacing it over and over again. Gives you easy access to the flow of water with the two handles. You are able to clean the faucet without any hassle. It meets the specifications and standards of NSF 61, which makes it safe for you to use. You don’t have to buy the hose and the drain assembly separately. A bathroom faucet is something that everyone uses on daily basis. You cannot take it for granted. 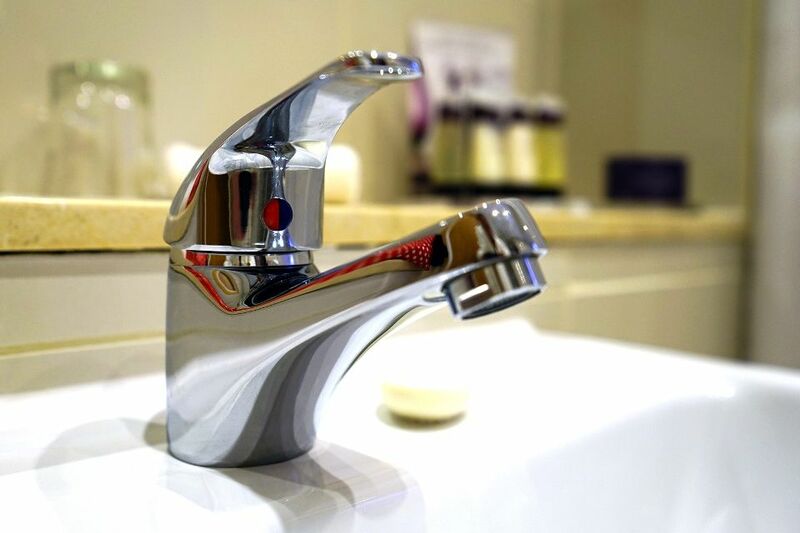 If you choose a high-quality bathroom faucet, you won’t have to worry about expensive repairs and replacements. I hope my article has helped you come to a right decision when choosing the best bathroom faucet. What it really comes down to is two factors: sink specifications and personal taste. 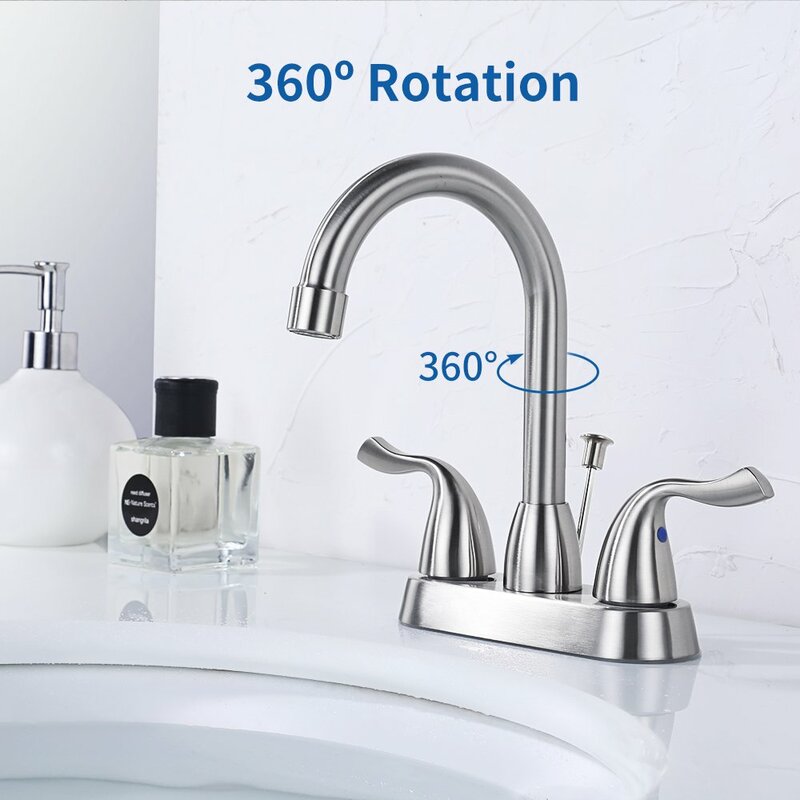 While personal taste is completely up to you, when shopping for faucets, make certain you are purchasing one that will fit, not only your style, but the actual dimensions of your sink.